[toc]Pregnancy can be difficult to deal with. In addition to dealing with changing body symptoms, you will also have to undergo several regular tests and do constant monitoring of your health and diet. Morning sickness occurs during the first trimester of pregnancy and affects almost half the pregnant women across the world. Morning sickness occurs due to elevated hormone levels and lowered glucose levels in the blood during pregnancy. This is completely natural in pregnant women and as it does not cause any metabolic disturbances, the symptoms aren’t alarming. Pregnant women tend to feel nauseous and may sometimes vomit due to some triggering factors. It addition to this, there is a constant feeling of uneasiness in the stomach. 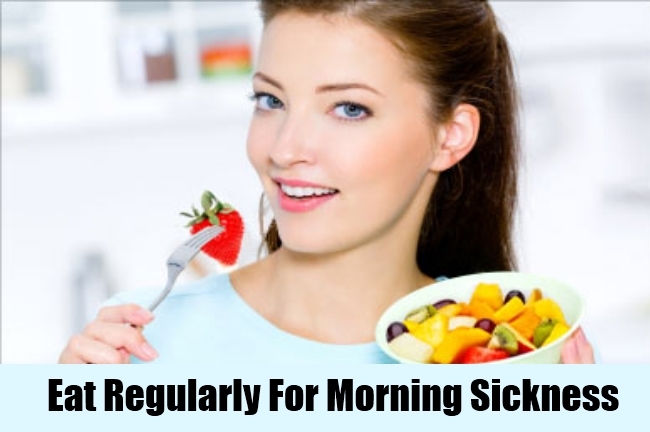 Lack of sleep or exhaustion can trigger morning sickness. Make sure you are getting adequate amount of rest during the night. If not, make it a routine to take a nap in the afternoons as well. You can use a maternity pillow that gives support to your growing womb and aching back while you sleep. When you don’t feel fresh in the morning, such symptoms may occur. You must also not exert yourself, especially during the first trimester, as this is a very critical time of pregnancy. Eating regularly can reduce your chances of feeling nauseous. Most women tend to feel uncomfortable in their stomach because of the high acid secretion due to high oestrogen levels. Avoid spicy or fatty foods that will enhance the acid production. You should not gorge on food, but you instead have small portions in 2 hour intervals, so that your stomach isn’t empty. Stick to natural foods like salads, fresh fruits, nuts and protein snacks to fill your stomach. A light exercise regime can help your body systems function better. Blood flow is maintained to all your body parts and digestive system functions well if you get some exercise. However, you shouldn’t exert yourself during pregnancy. You can indulge in walking or some light yoga during your pregnancy months. Always consult your doctor before you engage in exercising, as the first trimester is the most critical time of pregnancy, and you must not indulge in any form of activity which can cause harm to the womb. Make sure you are taking enough fluids while you are pregnant. You can opt for juices or non-caffeinated drinks as well. About 8 glasses of water is necessary during the day. Also have plenty of soups and juices at regular intervals. It keeps your system functioning well without any dehydration. Lime juice along with honey can also be good to treat morning sickness. It will taste better if you have it cold. Ginger is an age old remedy in treating nausea and stomach ailment symptoms. Ginger bread cookies taste really good and they are a good snack to keep your stomach filled. You could also add some ginger in your tea or sip ginger ale which is cold, during the day. Ginger will soothe your stomach’s lining by decreasing the acid secretions so that your symptoms don’t exaggerate. 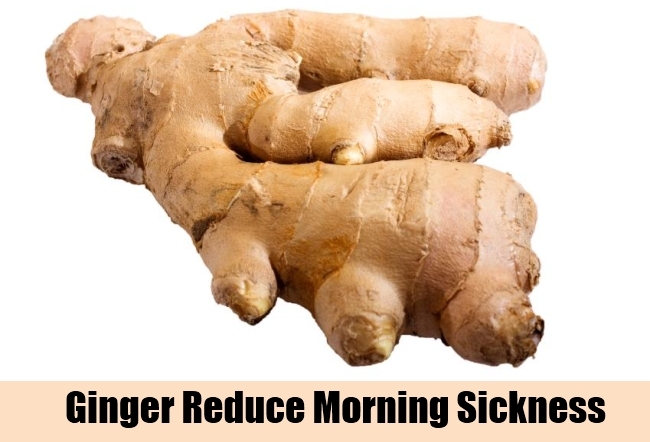 Ginger is thus an effective treatment for morning sickness.